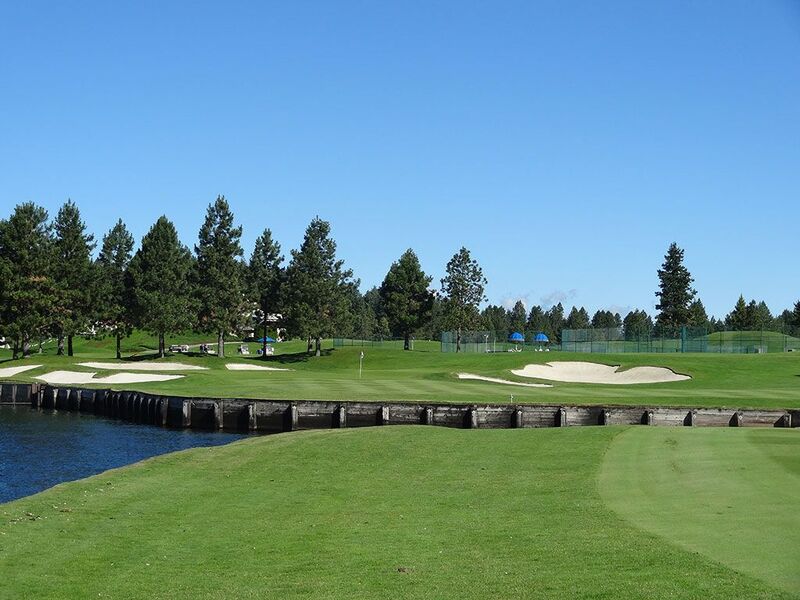 Course Website: Official Website - Visit Coeur d'Alene Resort's official website by clicking on the link provided. 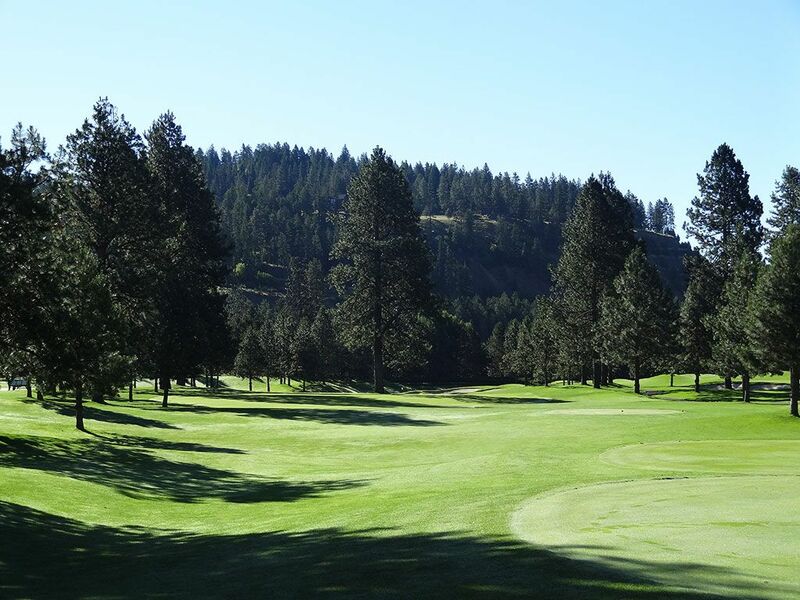 Accolades: Ranked 10th in Idaho on Golf Course Gurus' Best in State list. 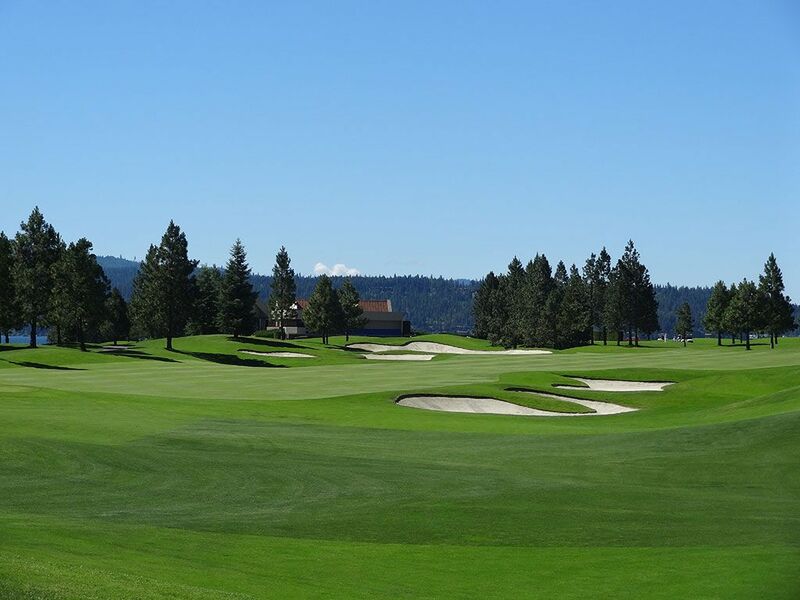 What to Expect: The Coeur d'Alene Golf Resort is the ultimate posh experience that generally can only be found at the most upscale private courses in the country. From the moment you enter the property through white gates it is clear that the staff is concerned about one thing; you. Service is top notch with complimentary massages being offered on the driving range, chilled and scented towels at the turn, and a golf cart that features heated leather seats and a cooler. 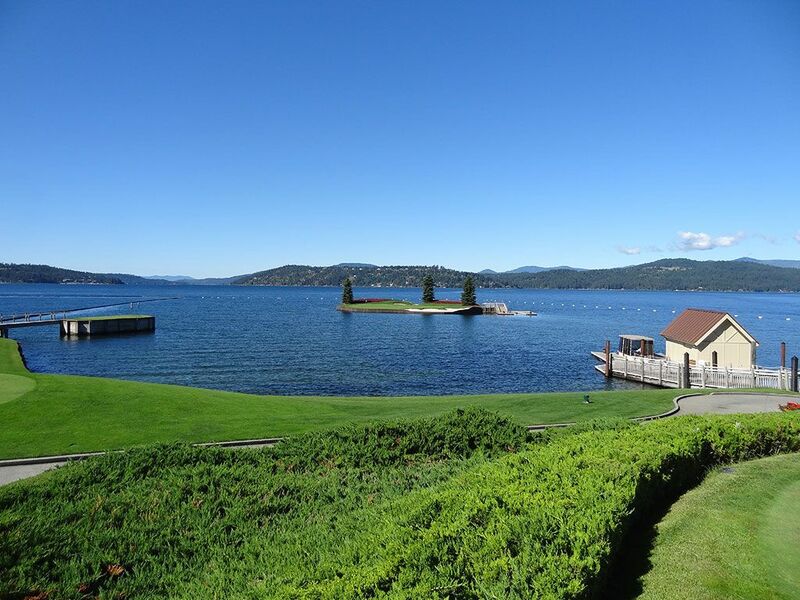 The driving range features floating golf balls that are hit out into Lake Coeur d'Alene and the fairways are cut tighter than most municipal golf course greens. The fairways slope toward the middle and you are sure to get some great kicks out of the "rough" that is trimmed as short as most courses fairways. But the one thing to expect beyond anything else is flat out beauty. 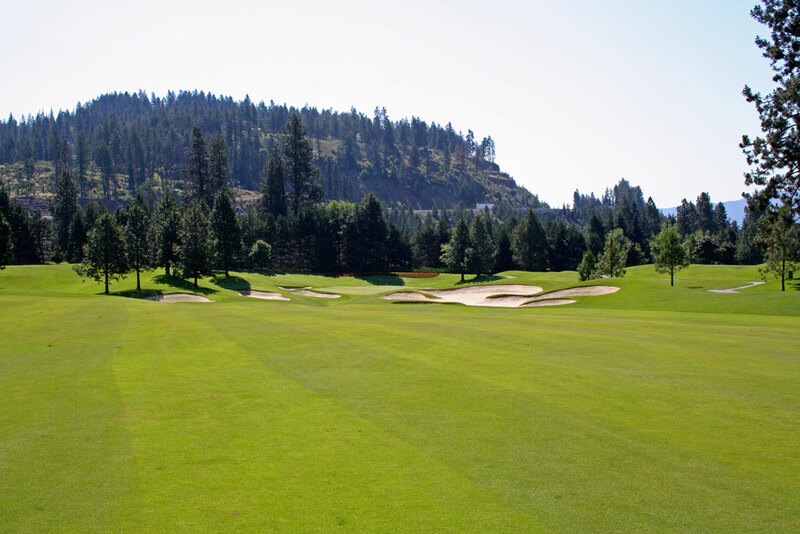 Coeur d'Alene is one of the prettiest places on earth and the course features some of the most stunning par threes and landscaping anywhere. Signature Hole: 14th Hole – 203 Yard Par 3 – Not only is this the signature hole of the course, it is the signature hole of the enitre Northwest. The world's only floating green sizes in at 15,000 square feet, 5 million pounds, and a couple tons worth of intimidation. The island green is moved by a computer system which effectively changes the yardage each day. 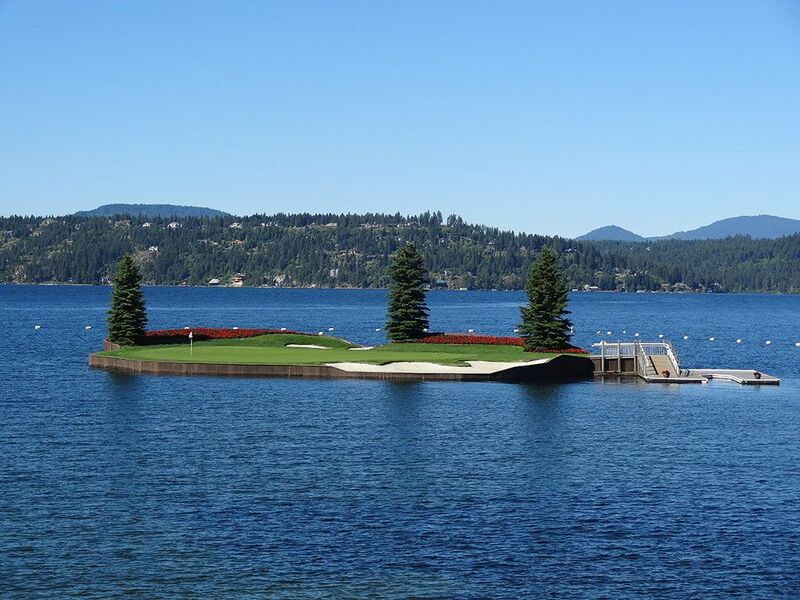 With a pair of bunkers, a handful of trees, and a docking station for the putter boat to bring players over, the floating green at Coeur d'Alene is in a league of its own and one of the funnest holes you'll ever play. Best Par 3: 5th Hole – 143 Yards – While the 14th hole is undeniably the signature hole of the course and reason many visitors go to the course, I'm going to go ahead and highlight the hole that has recently been found in more magazine ads that the floating green; the remodeled 5th. 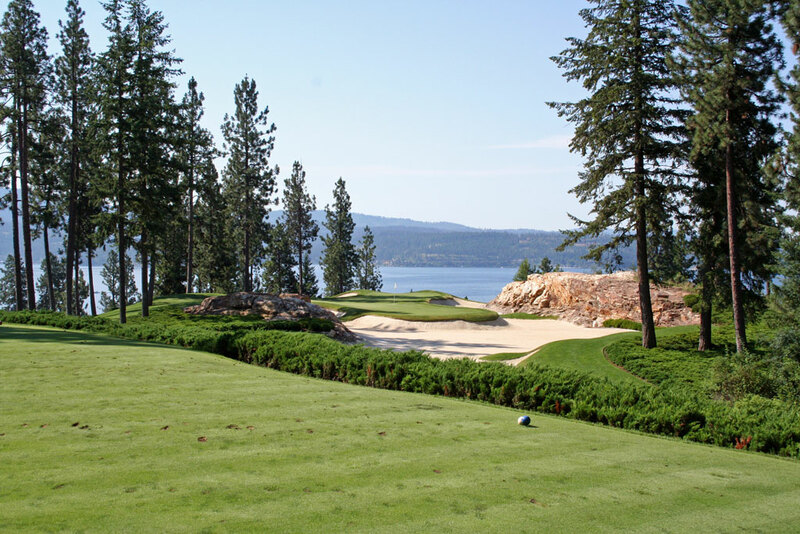 Before 2004, the 5th hole was a nice little par three with Lake Coeur d'Alene sitting in the background. But after a little dynamite was lit up on the green, gorgeous rock formations were discovered and a new 3-legged green was built several feet below the original and placed in a desert of white sand. Best Par 4: 8th Hole – 437 Yards – The best par four of the day is also one of the more challenging. A towering pine tree is parked in the middle of the fairway and only the highest of drives can clear it on the fly. Once that obstacle has been negotiated, the golfer is faced with an approach shot to suppressed green that is surrounded by the best bunkering on the course. Behind the green is the Pacific Northwest's version of Augusta's azaleas with birght red flowers beautifying the scene. It is a solid hole that doesn't get as much attention as it should due to the gorgeous coastal holes it must compete with. 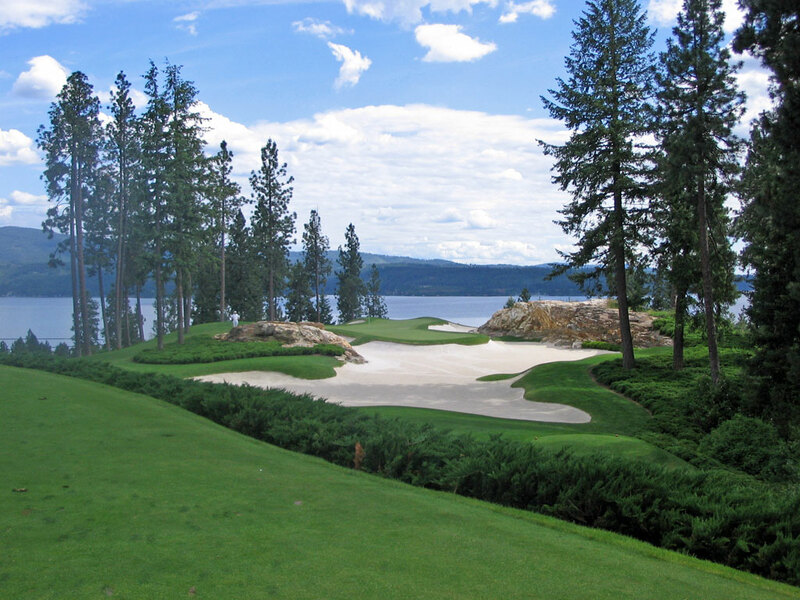 Best Par 5: 11th Hole – 538 Yards – Selecting the best par five at Coeur d'Alene was a no-brainer as the 11th easily walks away with the honors. A creek runs down the left of this hole that turns slightly from right to left. It is reachable in two and the bushes, trees, and flowers left of the green act as one of the most generous free drops in all of golf. The real challenge of this hole comes at the green where the creek from the left side of the hole cuts across the fairway and crescents around the green and effectively drowns any approach shot that isn't struck with precision. 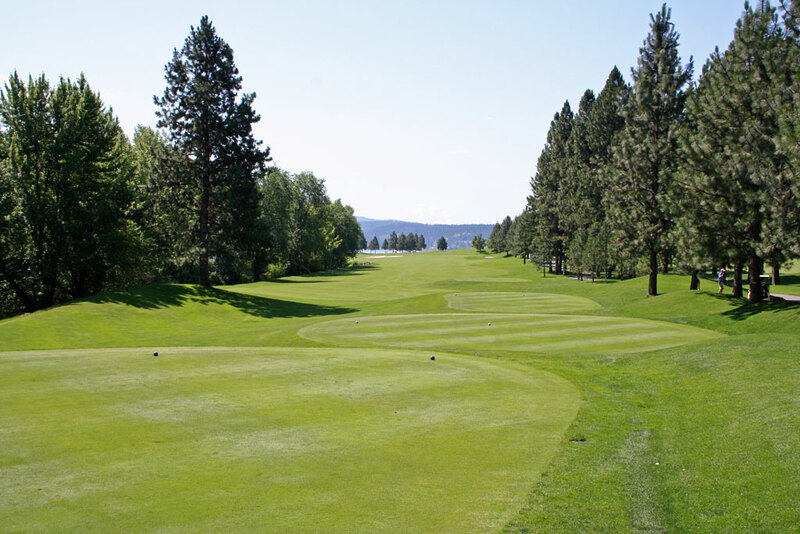 Birdie Time: 13th Hole – 336 Yard Par 4 – There are two holes at Coeur d'Alene Golf Resort that you should absolutely birdie during your visit. This first comes at the 13th hole, right before heading to the famous floating green, where this driveable par four is both gorgeous and potentially dangerous. 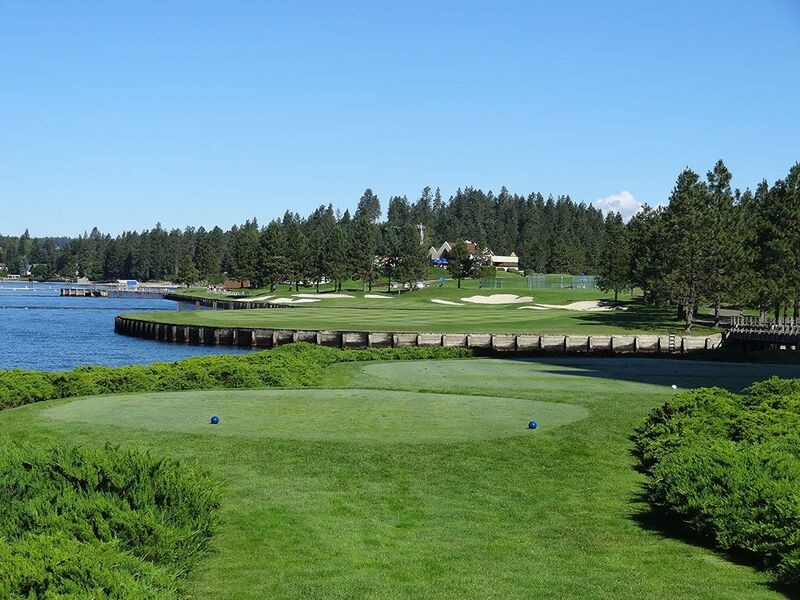 With Lake Coeur d'Alene on the left side of the hole and o.b. along the right side, accuracy is needed to avoid a big number but an on target drive that carries the water inlet 250 yards out should hit and run its way onto the green for an eagle putt. The other "must get" birdie hole is the 269 yard par four 17th. Doglegging from right to left, a nice 3-wood draw can put you on the inviting putting surface. In fact, if you don't drive the green you should still be in great shape to get an up and down birdie as long as you avoid the expansive bunker left of the hole. 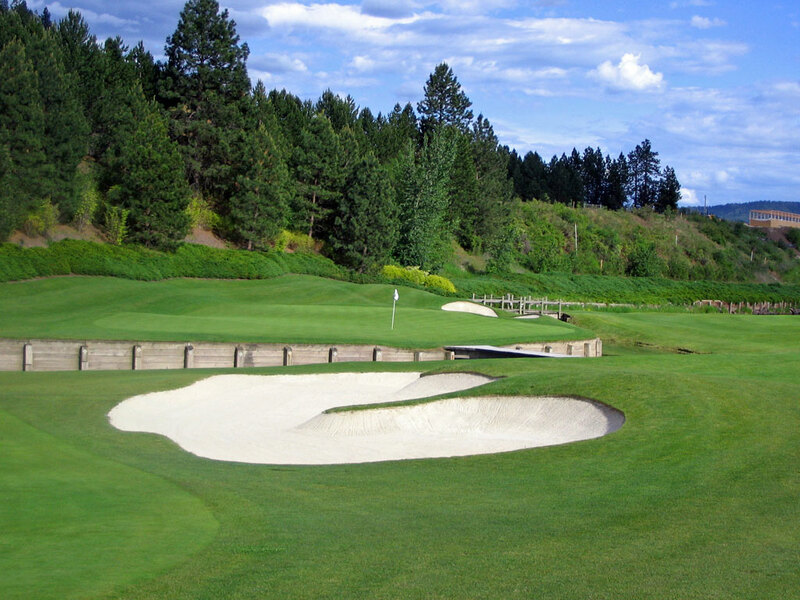 Bogey Beware: 18th Hole – 482 Yard Par 4 – Overall the resort course at Coeur d'Alene is very player friendly and would be classified more as "fun" golf than "challenging" golf, but the 482 yard par four finishing hole will test even the best of golfers. By the time you reach the hole the afternoon wind will have picked up and will be blowing in from the lake straight into your face. With four fairway bunkers and a massive greenside bunker to contend with, you will need plenty of length, accuracy, and a little luck to avoid a bogey here.